Would you like to drive a vehicle in the Czech Republic and are not sure whether your driving license from your country is valid also in the Czech Republic? Then you are in the right place. We will clarify how you can obtain a driving license for foreigners in the Czech Republic. 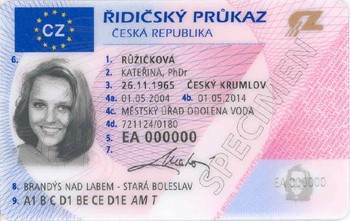 Is my driving licence valid in the Czech Republic? If you are the owner of a driving license issued by a Member State of the European Union, Norway, Switzerland or Liechtenstein, you are entitled to drive and you do not have to change it. If you are a citizen of a non-EU country and your driving license complies with the conditions of road traffic of the Czech Republic, you may retain and use your driving license from your native country, but only for one year for a short or long-term stay. If you have a permanent residence and intend to use a driving license for more than one year, you are required to exchange your driving license within 3 months of your permanent residence. If you are a citizen of a non-EU country and your driving license does not meet the conditions of road traffic in the Czech Republic, you must either be the holder of an international driving license or you must have a driving school in the Czech Republic. How can a foreigner get Czech driving license? a certificate of employment or an extract from the Trade Register. The driving license is issued either at an office with extended jurisdiction at your residence or at the City of Prague. What papers you need to have with you when applying for a driving license? one photo that conforms to the requirements of the Citizenship Records Act. Driving licenses themselves take about twenty days. Application form for the issue of a driving license is available: - at the information register of the driver's register, the application can not be copied !! !